Fueled by record-low interest rates, easy credit and rising residual values, leases accounted for almost 26% of new-vehicle sales in 2013 and are rising. 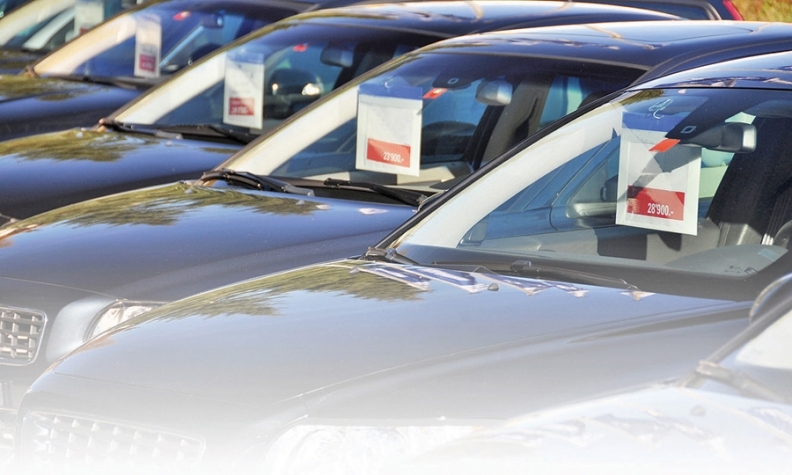 The used-vehicle inventory drought is almost over. This year, according to Manheim projections, about 2.1 million off-lease vehicles will return to the market, up from 1.7 million in 2013. Manheim also predicts that number will grow to 2.5 million in 2015. In 2016, and for several years thereafter, the number will exceed 3 million, Manheim predicts. That's good news for dealers who are struggling to find reasonably priced late-model used cars and trucks -- the fallout of three years of slumping new-vehicle sales and a lease market that all but dried up in 2009. Add in a rise in interest rates, which many economists predict will begin in the second half of 2015, and 2016 could bring even more financial pain for buyers. A study conducted by ALG Inc. that analyzed interest rates from roughly 1982 to 2012 estimates that every 1 percent increase in interest rates -- all else equal -- would reduce current new-car sales by about 300,000 units. ALG sets residual values for the industry. Automakers say they are getting ready. "There is a tsunami of lease returns coming to us, and we have to be really, really well prepared for them," Fred Diaz, Nissan North America senior vice president for U.S. sales, marketing, parts and service, told Automotive News. He would not say how many vehicles he expects to come off lease this year. "We're in the process of fine-tuning and putting the final touches on what that strategy will be with our dealer advisory board." Leasing dwindled during the recession but is back in a big way. Leases accounted for 26 percent of all U.S. new-vehicle sales last year, up from 22 percent in 2012 and 17 percent in 2009, according to Edmunds.com. In the first quarter, leases accounted for 28 percent of all new-vehicle sales, up from 26 percent the same time last year, says Jessica Caldwell, senior analyst at Edmunds.com. "Thirty percent is not out of the conversation," she says of leasing. "People understand the benefits." Automakers and dealers like leasing because it forces consumers back into the market at predictable intervals. It also is a marketing tool that fosters customer loyalty because it gives dealers and manufacturers another shot at leasing or selling customers another vehicle. But every lease must end. And the additional off-lease volume is expected to lower used-vehicle prices and residual values -- the price of an off-lease vehicle expressed as a percentage of its sticker price. Leasing gets momentum from easy credit, rising residual values and record-low interest rates. Eric Lyman, an ALG analyst, says that though his company's data indicate an interest rate increase could hurt new-vehicle sales, an improvement in the overall economy would lessen the blow. "If people start to see the economy recover, maybe they have a little more discretionary spending, and the fact that their interest rate is driving up a monthly payment $20, $25 ... it's not going to bankrupt them," Lyman says. Lyman also says ALG expects used-vehicle prices to drop as the supply of off-lease vehicles rises. So ALG set its projected average residual value for new vehicles sold on a three-year lease in the March-April 2014 time frame about 6 percentage points lower than the residual values of 3-year-old vehicles whose leases expired in March-April of this year. "The No. 1 driver of the strength in values we've seen over the past few years is the drop-off of inventory in the used market," he says. "As that comes back, we're going to see the opposite effect. It's going to normalize the values more in line with historical levels we would see." Tom Webb, chief economist at Manheim, the nation's largest auto auction company, warns that the "substantially higher" off-lease volume slated to hit in 2016 could prove worrisome for some manufacturers whose dealer networks may not be able to absorb it all, he adds. Manufacturers try to keep off-lease vehicles within their dealer networks because it gives them more control over residual values. But, Webb adds, it's a challenge for which the industry has time to prepare. "We know it's coming," he said. "You can't guarantee that the 2016 retail environment will be as good. It might be better, but I doubt it." Mercedes-Benz USA is among those companies that expect their dealership networks to be overwhelmed by off-lease vehicles at some point, said remarketing manager Stephen Nicholson. Though Mercedes-Benz dealers will have first dibs on those vehicles, the brand will be forced to increasingly sell off-lease vehicles through non-Mercedes dealers, he added. "We're going to have something like 200,000 units coming back at some point," Nicholson said during a panel discussion in New York last week. "We've been leasing at 40, 50, 60 percent for a long time." If the flood comes in 2016, it won't be the first time that off-lease volume hit the 3 million mark. According to the 2004 Manheim Used Car Market Report, off-lease volume peaked in 2002 at 3.4 million units. They fell by about 66,000 units the following year. Between 2000 and 2002, lessors' losses averaged more than $2,500 per returned unit and in 2003, ballooned to $3,187 per returned unit, the report states. "Residual losses for the entire industry were close to $20 billion for the three-year period," the report states. That's because residuals were inflated to let manufacturers lower monthly lease payments and boost sales. Also, reserves set aside to cover potential losses fell short. But things could be different this time. With a few exceptions, manufacturers are resisting the urge to severely inflate residual values, Webb says. And many are holding the line on production and have mature certified used-vehicle programs that feed on off-lease vehicles. The industry sold 2.1 million certified pre-owned vehicles in 2013, up 15 percent compared with 2012. In 2003, the industry sold almost 1.5 million certified pre-owned units. "We anticipate a greater demand from dealers to buy vehicles to populate their certified used-vehicle programs," says Eric Ibara, of Kelley Blue Book. So does Scott Weitzman, general manager, used-vehicle operations at Volkswagen division. Given the VW brand's U.S. sales growth -- 35 percent in 2012 and 26 percent in 2011 -- "We've got more [off-lease] vehicles coming back into the network in the second half of this year than the network has ever seen before," Weitzman says. So VW is conducting workshops to train dealership managers and salespeople to optimize certified used-vehicle sales and has created meetings similar to 20-groups, for those managers to share best practices about operating their used-vehicle departments more efficiently. It also has created an exclusive online platform with DealerMatch, a sister company to Manheim, for VW dealers to buy and sell among themselves as many used vehicles as they want for a flat monthly fee. Auctions generally charge dealers per-vehicle fees to buy or sell a unit. "So we're going into this partnership with an eye toward where we are now as well as what's going to happen over the course of the next year or two when we go from scarcity to maybe a surplus of vehicles," Weitzman says. "We want high residual values and want dealers' capacity to exploit the marketplace to be as strong as possible because we know that will lead to more new-car sales." Greg Russell, national manager, risk, at Toyota Financial Services, says about 30 percent of the Lexus and Toyota vehicles it finances are through leases. The company set lower residual values for vehicles returning to the market in 2016 than vehicles returning now. He says the captive finance company "aggressively pursued leasing" in 2010 when new-vehicle sales fell during the recession, resulting in a record 39 percent increase in off-lease volume in 2013 compared with 2012. Though sales for Toyota Motor Sales U.S.A. were flat in 2010, Toyota brand new-car sales dropped 9 percent. Russell says the company's off-lease volume is expected to fall 21 percent this year, a result of production cuts that occurred when natural disasters hit Japan in March 2011, and then rise "over 14 percent" in 2015 and 20 percent in 2016. He says that though supply impacts used-vehicle prices, more important is the health of the economy. "If the economy continues to strengthen and people are working, they'll have more purchasing power and access to credit," Russell said. Interest rates, should they rise, would have a weakening effect on used-car prices, but it might be more of a "knee-jerk reaction" and short-lived, he says. That's because even higher rates still will be fairly low. He adds: "People would realize that, 'Hey, instead of a 2 percent interest rate, 4 or 5 percent is still a good rate." Jim Henry contributed to this report. What can industry do to boost leases, residuals?